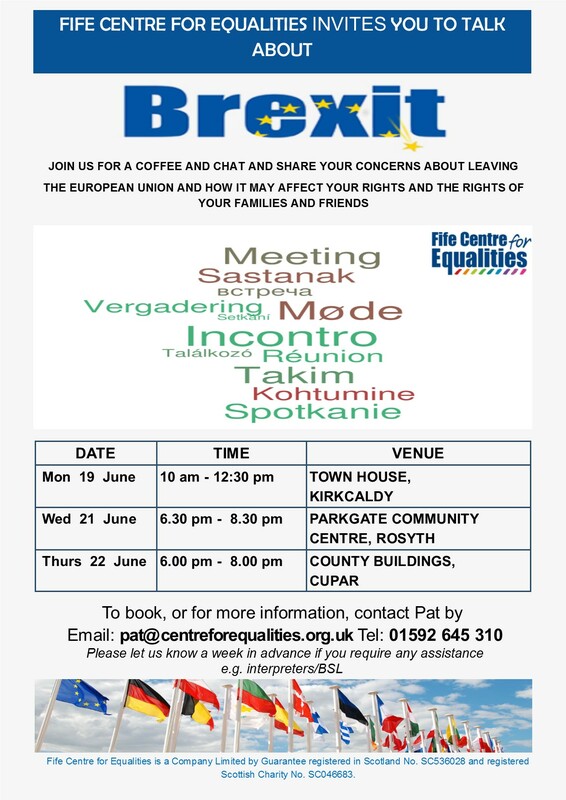 Come along and visit one of our many Brexit discussion sessions, with the opportunity to ask questions, share your concerns or opinions or even just for a coffee and a chat. Town House , 2 Wemyssfield, Kirkcaldy, KY1 1XW. Parkgate Community Centre , Parkgate, Rosyth, KY11 2JW. County Buildings , St Catherine Street, Cupar, KY15 4TA.